A machine begins to malfunction and abrasions are found on one of the power cables. Further investigations find similar damage has occurred elsewhere, a pot plant has been mutilated, a cereal packet looks to have been torn open, sections have been gouged out of a cheese wedge and a hole has been violently rendered in a newspaper. The cause of the destruction is soon found to be a small ruminant mammal and so it was that Shaun the Sheep was introduced to the world in the Wallace & Gromit short film A Close Shave. The character subsequently featured in his own spin off show (which also has a spin off – Timmy Time) and now Aardman Animation Studios have chosen him as the subject of their next movie. The result is just wonderful. The claymation Shaun the Sheep TV show, presumably a prequel to the Wallace and Gromit film, tells of the young Ram’s life on the farm. It centres around his efforts, along with the rest of his flock, three grumpy pigs and the dog Bitzer, to add interest and variety to their simple country existence. The group get into a range of tricky situations all the while trying not to raise the suspicions of the farmer. Since 2007 the show has run for 130 seven minute episodes and not a single word has been spoken in any of them. In making this movie the creators have wisely decided to stay with formula while extending the reach of the adventure to the city. As with the TV show we see Shaun and the gang caught up in a series of dialogue free scenes as their plans spiral out of control. None of it is disjointed though and everything comes together in one neat central story. The running time here is twelve times longer than the characters normally have to sustain but it doesn’t feel even marginally stretched and the film is incredibly charming and funny. 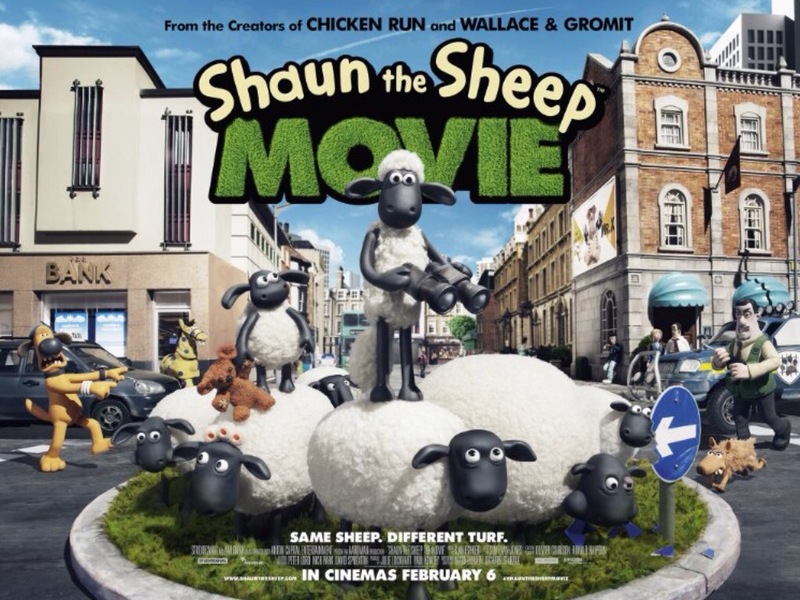 In many respects Shaun the Sheep Movie (Doesn’t that title need another definite article somewhere?) is reigning in the ambition Aardman have been showing recently. This is their fourth stop motion feature after Chicken Run, Curse of the Wererabbit and The Pirates! In an Adventure with Scientists (another title that challenges grammatical convention) and each of these other films has shown increasing narrative and technical complexity. Shaun the Sheep Movie by comparison tells a simpler tale with less sophisticated model work. Actually what this little motion picture does though is play to Aardman’s strengths and it nicely shows what sets them apart from the other studios, such as Boxtrolls and Coraline’s Laika, working in the same area. Right from the very start, back in the days of Morph, Peter Lord’s Bristol based company have excelled at wordless storytelling. Then, of course, Lancastrian Nick Park joined the studio and his beautifully expressive but wordless dog Gromit extended this tradition. In this sense this new film is pure boiled down Aardman, providing perfect sight gags and giving us some of the best physical comedy seen on the big screen this side of the 1930s. 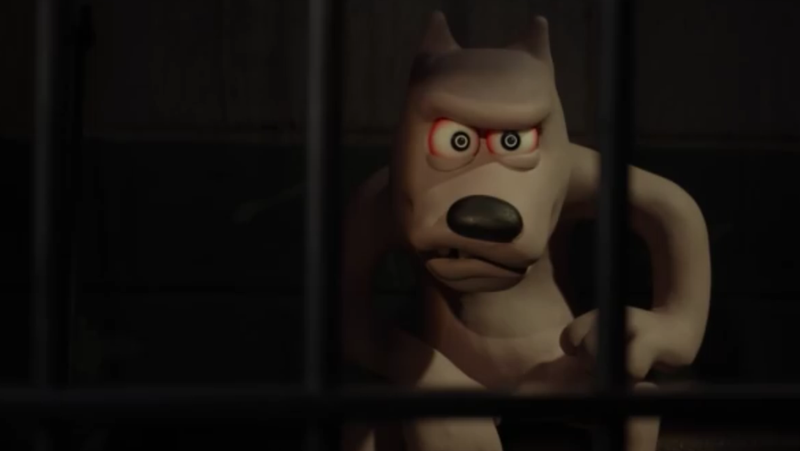 In fact the best recurring gag, involving a mean looking canine, manages to be funny pretty much without sound or movement. Clearly yes but actually the appeal is not limited to children. I took my three kids aged between 5 and 13 and we all enjoyed it evenly. I would recommend this film to absolutely everyone. The film is a little bit cheeky but everyone likes a good bum joke don’t they? That kind of humour is just ageless. I am not going to launch into a feminist reading of Shaun the Sheep but it might be worth noting that most of the flock appear to be female. I’m no expert on ovine gender but I don’t see any horns, not even on our hero.